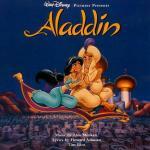 One of the most romantic melodies, not only from the cartoon about Aladdin, but in general among the tunes of this essence. This pop sung by two bright young voices, neatly intertwined all along, under the ringing and shimmering sounds, among which the basis is made ​by ​violin instruments. In loved with each other – this impression they leave about themselves and their feelings are clean and are not marred by cloudy things on their horizon. Love in its best manifestation.